A child needs to be provided with foods rich in calcium. The reason for this is calcium plays an important role in the development of strong bones in the children. Not only for the children but also for the adults, foods rich in calcium are essential. It is said that 700mg of calcium must be consumed in a day by an adult having their ages between 19 and 64. Dairy products like milk, cheese etc could provide the much needed calcium that is required for the strong bones. 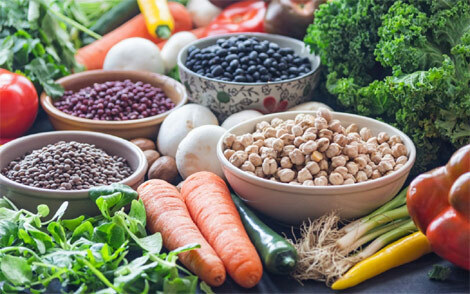 Most of us do not know that there are some non-dairy foods that are available and these foods could also provide the much needed calcium for us. The protein, iron, fibre content present in these white beans provides us many health benefits. Not many know that white beans also have rich amounts of calcium in them. It is said that 175mg of calcium are present in one serving. These white beans are also called as navy beans, haricot, white pea bean etc. It is known that the sweet potatoes are dicotyledonous plant and they belong to family called as Convolvulaceae. The tuberous roots are large and sweet to taste. Apart from having vitamins like A and C, sweet potatoes also have rich amounts of calcium in them. One important piece of information is a serving of sweet potato would have 68 mg of calcium in it. Seeds of poppy, sesame, chia and celery have got rich amounts of essential nutrients. These seeds also have calcium in huge amounts. These seeds fall under the non-dairy foods having rich calcium. Most of us know that oranges have rich vitamin C content in them. The fact that oranges also have high calcium in them is not known to many. By consuming one orange we could get 70mg of calcium. This would ensure that we get 6% of calcium needed for the day. These non-dairy foods are rich in essential nutrients like iron, magnesium, zinc, folates, potassium etc. Calcium is also present in these beans and lentils and intake of these could provide us many health benefits. We all know that lettuce, kale, spinach etc are green leafy vegetables. These have low calories, nil fat plus have high levels of calcium and fibres in them. Our overall health would get improved by the intake of these green leafy vegetables. They belong to mulberry family and found mostly in Middle East and Western Asia etc. These figs have fibres, antioxidants plus calcium and are superb for our health. We could get around 135 mg of calcium if we consume five dried figs in a day. Belonging to cabbage family, broccoli has got large flowering heads. It is regarded as super vegetable because of its various nutrient contents. Apart from minerals like zinc, magnesium, phosphorus, potassium and vitamins like B1, B2, B3, B6 etc broccoli also has got great amounts of calcium in them.